Martin Modern @River Valley - 4 Awards Winners! The price is a STEAL for District9! ✅Low site-coverage with Extensive Botanical Landscape. The Martin Modern site is a sizable and attractive plot in Singapore’s coveted District 9 in the prime River Valley residential area near to Orchard Road and the CBD. 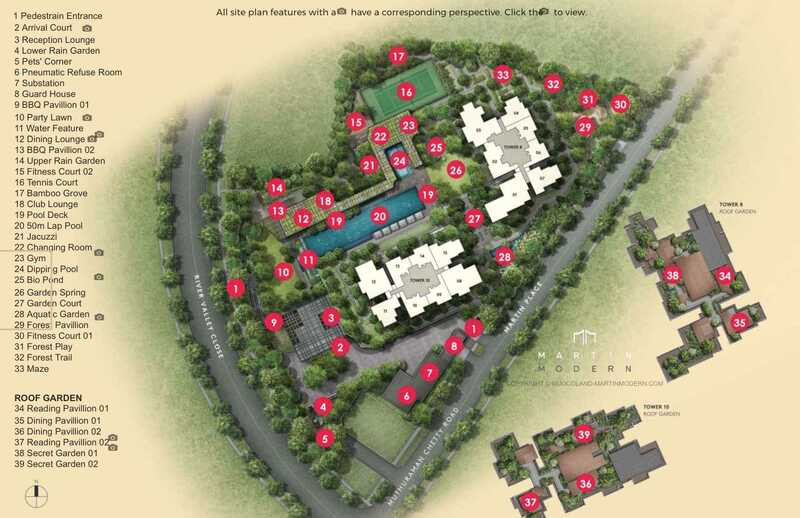 Amenities nearby include Somerset MRT Station, Orchard Road and Singapore River. Within a short walking distance is the future Great World MRT Station (currently under construction) which is part of the Thomson-East Coast Line, and will take residents directly to Orchard Road, the CBD and Marina Bay. More than 80 per cent of the land area will be turned into a “unique botanic garden” with over 200 species of plants and more than 50 species of trees and palms. Located in prime District 9, this new luxury residential development sits on a sizable plot of prime land of 171,000 square feet. 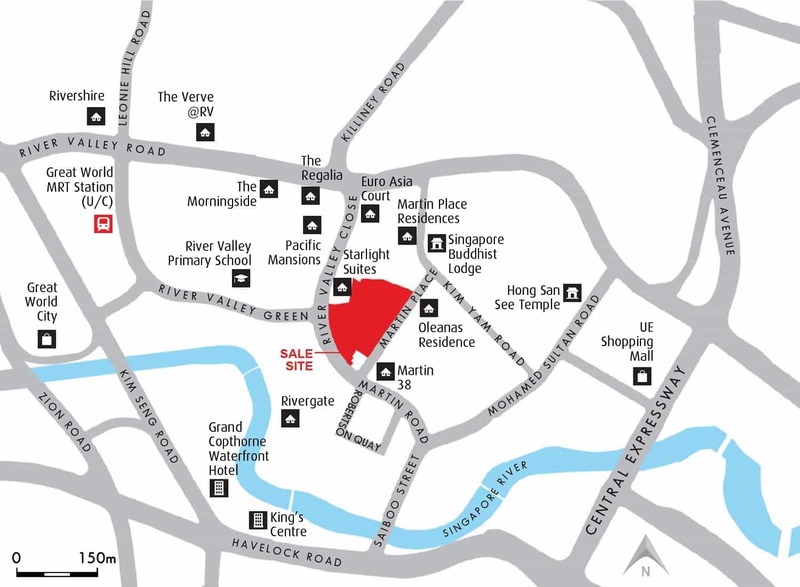 Fronting both River Valley Close and Martin Place, the development is situated at the highly coveted lifestyle enclave of Robertson Quay. It is conveniently accessible by walking distance to Somerset MRT station and to the future Great World City MRT station. Travelling to the popular shopping belt of Orchard Road and other parts of Singapore such as the Central Business District, just 2 km from the development is a breeze. GuocoLand Limited (“GuocoLand” or “GLL”), is a public company listed on the Singapore Exchange since 1978. The principal activity of GuocoLand Limited is that of an investment holding company. The principal business activities of its subsidiaries are property development, property investment, hotel operations, property management and activities relating thereto. As a premier regional property company, GLL is focused on achieving scalability, sustainability and growth in its core markets through its property development, investment and management businesses. In Singapore, the Group through its various property development subsidiaries, have successfully sold 33 residential projects yielding more than 9,000 apartments and homes over the last 24 years. The Group has also invested an estimated US$3 billion in China, with a sizeable land bank of completed and uncompleted properties amounting up to nearly 2.5 million square metres of gross floor area spanning across major cities like Beijing, Shanghai, Nanjing and Tianjin. The Group has also developed several notable developments in Malaysia and Vietnam. GuocoLand now has sizeable integrated developments in each of its embedded markets; notably Tanjong Pagar Centre in Singapore, Shanghai Guoson Centre in China, as well as Damansara City in Malaysia. 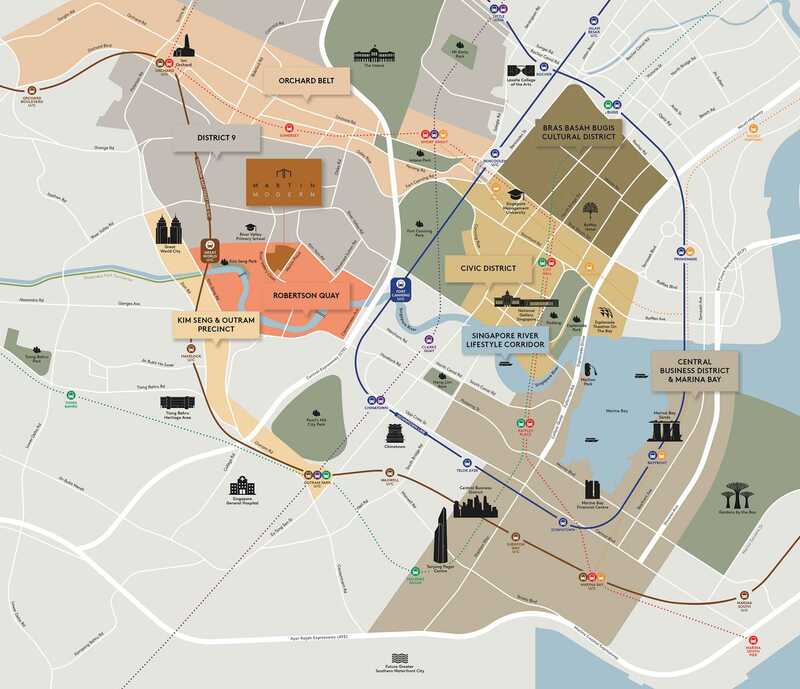 All these integrated developments are situated at prime locations integrated with or near to major transportation hubs. Enjoy a world of convenience at Martin Modern. An extensive host of amenities is easily within your reach, from retail and dining outlets, to education and entertainment facilities. Great World City and UE Square Shopping Mall are within a few minutes walk away, offering plenty of shopping and dining options. For the shopaholics, the main Orchard Road shopping belt is also within walking distance. The Robertson Quay and Clarke Quay areas provide endless nightlife entertainment, yet allowing you to get home quick after partying the night away. Situated in the coveted prime district 9 of Singapore, residents at Martin Modern can enjoy the convenience of being close to Orchard Road and Robertson Quay. A short stroll will take you to the Singapore River, flanked by scenic promenades which connect you to the Robertson Quay, Clarke Quay and Boat Quay areas, and all the way to the Fullerton Hotel vicinity. Great World MRT Station (U/C), which is along the Thomon-East Coast Line, provides easy and quick access for residents in the River Valley area who wish to travel to the Central Business District (CBD), as well as north-bound towards Woodlands. With the extension of the train line due to serve the Eastern region, travelling time to East Coast Park and Changi Airport is also reduced significantly. 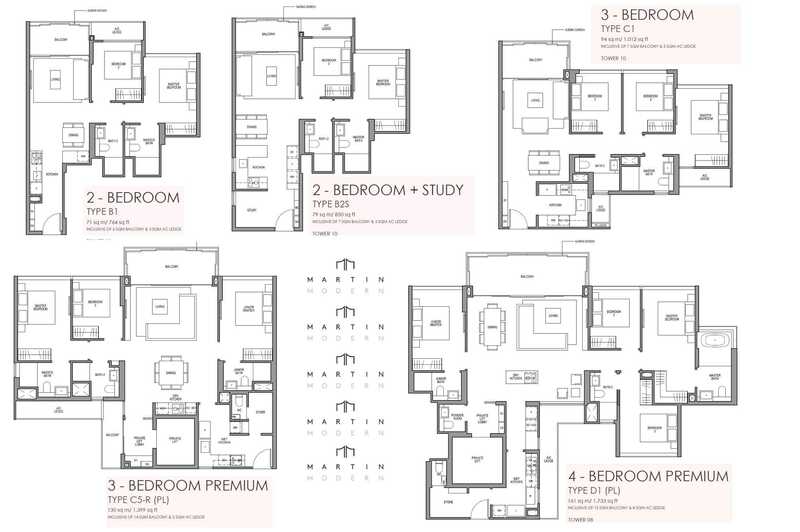 Most of the buyers will be comparing Martin Modern with the next door Martin Place Residences. The development has TOP in 2011 and is located as well on Martin Place. Please see the below for the transacted prices of Martin Place Residences. It can be seen at the transacted prices for Martin Place Residences has been kept steady despite the property downturn cycle which indicate that prices are resilient for core city centre condos. This is in particular reference to condos around Martin Place near Great World City. Therefore, Martin Modern prices should be kept steady in the short to mid term given that there is still demand for core city centre condos.